kritterbox.com EXCLUSIVE! 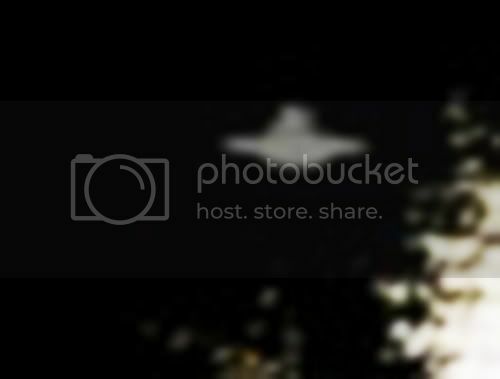 UFO Caught on Camera in Broad Daylight! Holy Crap! Seriously? Did you see it when you snapped the pic or notice later? Is it a bird? Is it a plane...??? Are you serious? It looks real as it can be GH-this is your pic? Honestly, can I have permission to analyse this? If it's real we could make this go viral. (06-17-2011, 07:51 PM)Octo Wrote: Holy Crap! Seriously? Did you see it when you snapped the pic or notice later? Is it a bird? Is it a plane...??? That's pretty amazing! Great shot Ghostie! Was it taken through a screen door? My other question is somehow, the object is flat in the pic. The whole picture is skewed with the exception of the "object" and from a standpoint of pixels, it appears to be nearly symmetrical. Incredible chance shot. (06-17-2011, 08:00 PM)JayRodney Wrote: Are you serious? It looks real as it can be GH-this is your pic? Honestly, can I have permission to analyse this? If it's real we could make this go viral. (06-17-2011, 08:04 PM)Octo Wrote: That's pretty amazing! Great shot Ghostie! Ghostie, we would have to know exactly where and when the photo was taken, you have the why covered for certain. This is BIG! Classic saucer, absolutely no indications of manipulation in any form, this is truly jaw dropping, and a pin if I've ever given one! Allow me to preface this by saying I've worked with photoshop professionally for a number of years in advertising and television production. This is the initial enlargement I did on the object, it was scaled up and the photo was then inverted so the light source would become apparent. It's identical to the light source on the trees, there is very little question in my mind that it's a solid physical object as is clearly demonstrated in the inverted enlargement. I was a bit dismayed how conclusive it actually was. streetlamp, um...look at the van and the object in relation to one another. That's a rather large streetlight considering the distance from the van.